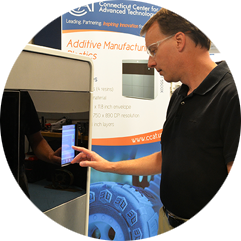 AMC Case Studies | Connecticut Center for Advanced Technology, Inc. Challenge: Reverse engineering of parts with complex geometry using structured light scanning and the Markforged 3D Printer. CCAT was tasked with assisting Troy Industries by using reverse engineering to generate a 3D model of selected trigger pack and buttstock product parts with very complex geometries. The parts were scanned using structured light scanning and a physical model was then generated using the Markforged 3D printer. Troy Industries then took the model and attached it to the assembly of a retro-fit kit to successfully check the fit and function of the scanned part before manufacturing its mating parts in the final assembly. Troy Industries was able to save money as well as manpower by using reverse engineering and 3D printing model parts. Guess and check errors were eliminated and product quality was dramatically improved. By accelerating the process toward production, Troy Industries gained the opportunity to hit the market quicker and generate a higher sales volume with their new retro-fit kit. 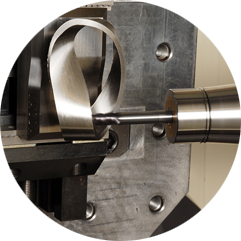 The CCAT team, comprised of engineers with expertise in machining, tooling, and optimization software, was able to significantly reduce the cycle time of certain roughing and finishing processes on an aerospace part for Flanagan Industries. The team optimized toolpath parameter settings, toolpath patterns, and the selection of cutting tools to increase machining efficiency. 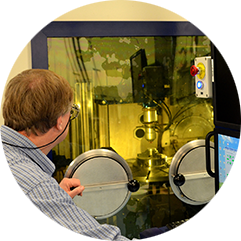 CCAT significantly reduced the machining cycle time for two operations – one by 35.1 percent and the second by 47.7 percent. The optimized processes for both operations were implemented by the company. 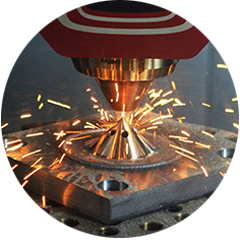 CCAT’s additive manufacturing team was tasked by the University of Hartford, College of Engineering, Technology, and Architecture with exploring material property differences between deposition rates of 300W laser power and 2000W laser power. normal and high deposition rates. For this project, we completed two builds and analyzed basic material characterization including ultimate strength, elongation, modulus of elasticity, and microstructure analysis. The build time statistical regression model for the additive directed energy deposition process (LENS) was also developed. CCAT worked with the Connecticut Children’s Medical Center to advance techniques for complex child trachea surgery. The trachea has bone, muscles, and tendons of varying strength and density. To replicate the trachea, we used a 3D printer capable of producing flexible and rigid materials by fusing together polymers, elastomers, polycarbonates and ABS-like resins simultaneously. The result was a remarkably realistic child’s trachea.